Neetu Kapoor urging son Ranbir Kapoor to move in with Alia Bhatt? US economic sanctions against the Persian Gulf nation comes into force today. While India is likely to get a waiver from US sanctions for importing oil from Iran, the country is also set to benefit from waiver conditions that mandate Iran would not gain monetarily from any imports. India may gain in terms of import assurance from Tehran, foreign exchange savings, logistics and other such benefits emerging from bilateral trade modalities being worked out between the two countries, according to experts. Deepak Mahurkar, partner and leader, oil and gas industry practice, PwC India, said the revised terms of crude purchase being worked out with Iran includes rupee-denominated trade, where the Islamic Republic nation would give assurance of Indian imports to the tune of oil bought by Indian refiners. According to him, most of the gains accrued to India would be "non-monetary". The revised terms of trade between India and Iran would require rupee payment in India's UCO Bank, which does not have international exposure and so is immune to sanctions. One striking amendment to the previous arrangement is that the entire Iranian crude import would be in rupee and Iran would have to utilise this amount for imports from India. This way India would be able source oil from Iran despite Iranian banks being banned from the Society for Worldwide Interbank Financial Telecommunications payment system. "India will be allowed to make payment in rupees, which will be deposited in a bank account and Iran will use that for imports from India. Say, if you (India) imports Rs100 worth crude oil from Iran, then the revenue earned from that will be deposited in an UCO Bank account. That currency will be used (by Iran) for imports from India. So, it's an import assurance to India," said PwC's energy expert. Ganesh Kumar Gupta, president, Federation of Indian Export Organisations (FIEO), also believes the US waiver and the new bilateral trade terms being put in place will help both Indian exporters as well as importers of Iranian crude. "It will give a big boost to exports. That is what we have been advocating. If bilateral trade is allowed Iran can sell crude to India and India can sell agri and other products (to it). If the currency trade is not allowed, at least the bilateral trade can take care of the exports, and it will give a big boost to export to Iran from India," he told DNA Money. "The relief for India is not in monetary terms. We will get crude at the benchmark prices. So it is not a saving. More specifically, it's a saving in the foreign exchange expenditure; it's an assurance on exports and ease of logistics, in terms of contracts of new crude sources. None of these have to do with savings in money. These are all non-monetary benefits, which will, in some way, help in controlling India's trade deficit," said the PwC executive. Gupta estimated there could be a jump of 20-25% in Iranian exports under the new bilateral trade regime between India and Iran. "If there is bilateral trade and in exchange of crude, the Iranian government makes payment in Indian rupees to Indian exporters then there can be a jump of 20-25% in exports to Iran," said the exporters' lobby body head. Furnishing data, he said Indian exports to Iran last fiscal was a meagre $2.5 billion, which was less than 1% of India's total exports of around $302.8 billion. In comparison, in 2011-12 – when rupee trade with the Persian nation existed – Iranian imports from India was about $5 billion, which was 2-2.5% of the total exports in the fiscal. Gupta expected Iranian imports to "double" under the revised trade norms. "If bilateral rupee trade is allowed (between India and Iran) then we can double it (exports to Iran) up. So far official announcement has not been made (by the US), only talks are on, but I hope it will be confirmed. It will also be a welcome move for importers of crude (Indian refineries)," he said. Mriganka Jaipuriyar, associate editorial director, S&P Global Platts, feels the Iranian crude was particularly attractive to Indian refiners as it is more "competitively priced" than other comparable grades. Also, the facility of being able to pay in rupees, a legacy payment mechanism that has carried on since the imposition of the previous sanctions in 2012, would also come as a breather to India at a time when its currency has scaled new heights; "this eases the strain on the country's foreign exchange reserves". According to him, Iran Heavy is among the most competitive heavy or medium-heavy sour grades available to Indian refiners. "S&P Global Platts calculations show Iran Heavy delivered into West Coast India at an average of $76.10 per barrel over October, compared to $80.11 per barrel for Saudi Arab Medium. US sour benchmark Mars averaged $78.99 per barrel on a delivered basis into West Coast India," said the S&P analyst. 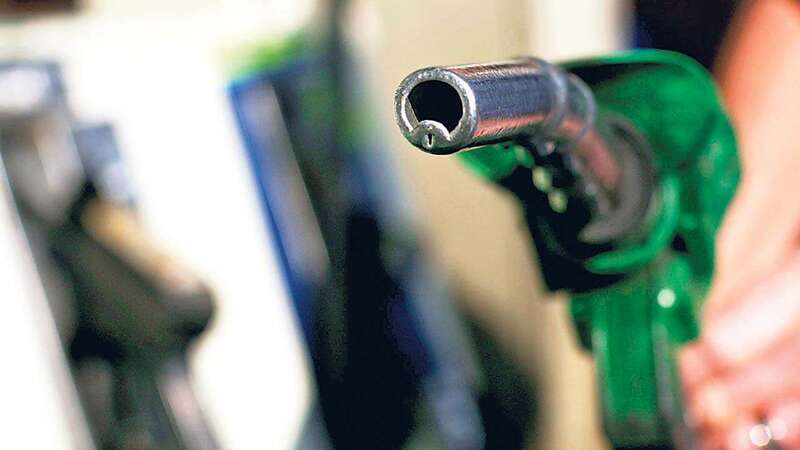 India is expected to be given a 180-day exemption from the US sanctions on Iranian oil, which was re-imposed in May this year by the Trump administration till Sunday this month after Washington withdrew the nuclear accord in 2015. "India has got the waiver only because it's a friendly country. No other reason," said PwC's Mahurkar. Close to 10% of India's crude demand of 220.4 million metric tonne was met by Iran last fiscal. As per estimates of Organization of Petroleum Exporting Countries (Opec), which contributes around 40% to global production, global demand is projected to grow by 33%, or 91 million barrels oil equivalent per day (mboed), between 2015 and 2040. Of this, 24%, or 22 mboed growth is reportedly likely to be from India.